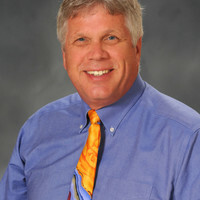 Dr. Clark is a Professor of Clinical Nutrition and Associate Dean of Research at East Tennessee State University. His research is related to the solubility and absorption of fat soluble nutrients from the small intestine and in the relationship of fatty acids to the health and well-being of elderly individuals. He is a Registered Dietitian and has a Ph.D. in Nutrition from North Carolina State University.